Based on what we think is a weird combination of the power of nostalgia and our seemingly never-ending obsession with monarchy, Disney Princesses have basically become our deity. 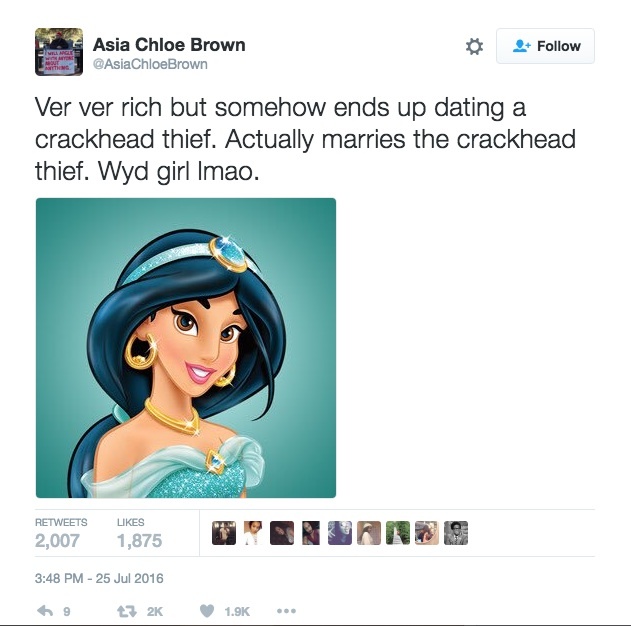 Even though so many of them come from dated movies with antiquated ideas on womanhood, we will still root for Snow White to wait around for her prince to come, and for Jasmine to take a magic carpet ride with Aladdin even though you should never, ever leave the house with a dude you just met who shows up at your window in the middle of the night to offer you a ride to a mysterious location. 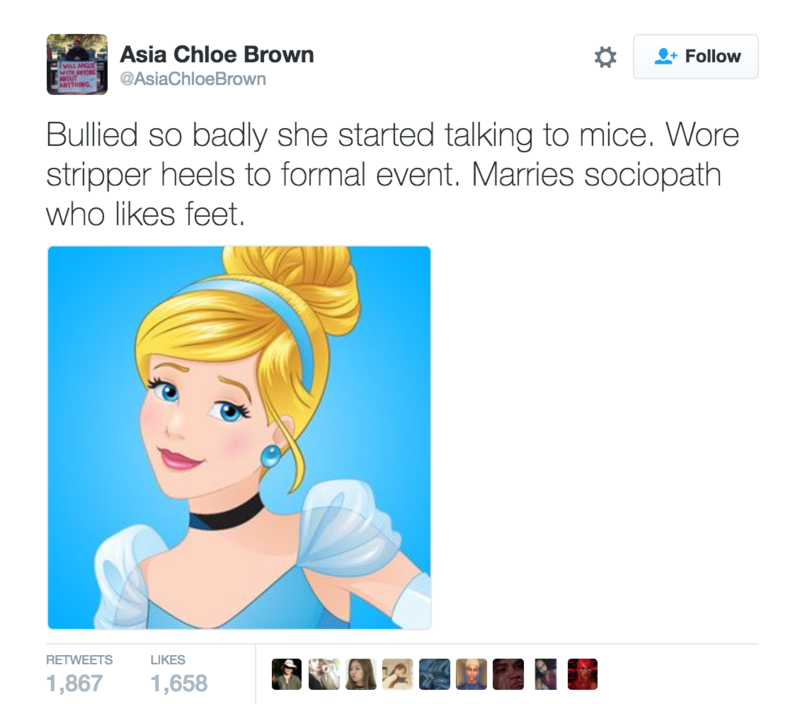 Twitter user @AsiaChloeBrown is apparently just a little bit more with it than the rest of us, though, as evidenced by her hilarious stream of tweets cutting our favorite ~ official ~ princesses down to size. Initially posted last July, Brown’s tweets showed up on our feeds again this morning and, well, let’s just say her words on Pocahontas are just a little more chilling now than they were six months ago. Fairy Godmother never met a pair of lucite heels she didn’t like. The Little Mermaid, like Grease, is a great reminder that changing literally everything about yourself and nodding and agreeing with everything a man says is the only way. Belle is like when you complain that your Tinder dates are so bad you’re going to marry your dog, but real.